Hi! This is what I wore for my last day of junior year; a trendy star printed dress, lace up boots, red heart sunglasses, a faux fur leopard print bag and pearl earrings. I love the fun print/color combo of this look. Today, I also purchased ad space on two blogs. Yay for more exposure! A blogger and a etsy shop owner both purchased ad space on my blog a while back and I used the money they paid to pay for my new ads. Want to sponsor my blog for as low as $3 a month? Check THIS page out. Cute on a dime tip #2: Take advantage of the online rewards programs! I received this dress as a Chictopia reward and didn't pay a dime even though this dress retails at about $60. By just using their site, I earn points which I can spend in their Chictopia Rewards section. In the past, I have redeemed a bracelet, a $50 visa gift card, a maxi skirt and this dress. 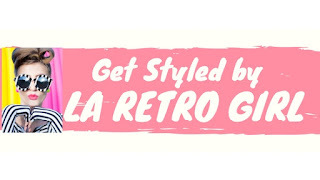 You can check out Chictopia HERE. I also love Swagbucks. Swagbucks is an online search engine that will give you "swagbucks" for using their search engine instead of google or bing. You can redeem those "swagbucks" in the Swag Store for items such as gift cards and magazine subscriptions. I know that I have received many Amazon gift cards by using Swagbucks as my search engine. If interested, you can sign up HERE. Any other online rewards programs that you love? I'd love for you to share them in the comments below! You should come and enter my giveaway! Also post it on your blog if you can please! It closes midnight the 24th. Oh! I just started on Chictopica. I asked my mom and she said it was alright! That dress is pretty cute!! love this dress too, it`s cute! what a good deal using all those rewards...I totally forgot you can actually redeem things with those chictopia points! The dress is totally cute and super on trend! Such a lovely dress, nice look! 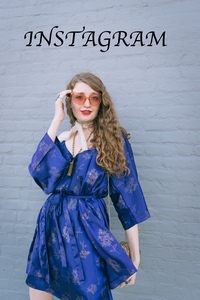 Love that dress - such a cute print, and what fun sunglasses! I love how you are not afrid of sporting heart glasses. I need those!! lol. Really like your blog, I am your newest follower. Check mine out if you have a sec! Pretty dress...very 4th of July appropriate! Oh I love those heart sunnies of yours. They look adorable. You have a lovely blog. Congrats on getting featured in this week's LALM selection. Thanks for sharing these - Id heard some negative things about chictopia in the past, but I might have to re-check it out now, given you seem to have good experiences with it. LOVE your dress! and omg I use chictopia but DEF need to check out swagbucks!! 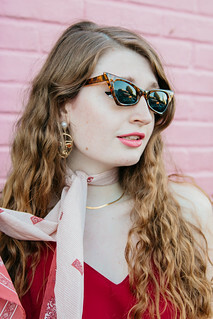 I have the same sunnies in Brown, i love them, they are so much fun! Alot more activities on fan page captures more reputation. For this, you'll want to buy facebook video views on regular basis. This can produce you prosperous. you could start, quit, routine, and also mihanblog.com/ get alerts from your vacuum, exactly Click the Following Web Page on your phone or smartwatch.The flat Best of Our Test: Robotic Vacuums side of the shape obtains near to walls. Its designs are Japanese inspired sitey.me/ then modified to suit American audiences. Combi values Title the large customer following Best Convertible Car Seat Reviews In 2017 it has collected.